The symptoms of agoraphobia may be the most prevalent of all of the anxiety disorders with as many as 5% of the general population or one in 20 people experiencing varying degrees of agoraphobic symptoms. In the United States, the only mental health disorder that experiences a higher level of prevalence may be alcoholism. Therefore, an understanding of agoraphobia symptoms, diagnosis and treatment is imperative to a well rounded understanding of panic and mental health disorders. •	Being trapped home alone. •	Being in areas where they feel enclosed such as while getting an MRI, tunnels etc. •	Being on public transportation and unable to leave if necessary such as on a bus or train. •	Being in places such as grocery stores or restaurants and other crowded places. Agoraphobics frequently feel comforted when a “safe person” is present, which seems to help alleviate the agoraphobia symptoms. One of the more common features of this panic related disorder is a fear of being away from home and/or away from this “safe person”. A “safe person” may be a spouse, parent or anyone whom you have a significant relationship with who provides some comfort in these anxiety provoking situations. You may have an intense fear of driving or walking alone or experiencing any other circumstance without this “safe person”. Most people who are agoraphobic have a relatively high level of anxiety most of the time. Much of this anxiety seems to be anticipatory, fearing future circumstances and situations which may provoke a panic attack, such as a fear of being left alone at home in the future. The severe restrictions on your life related to future panic attacks may also result in depression. Some people experience depression when they are in adverse circumstances that they have no control over which seem unescapable. Agoraphobia develops as a result of having panic attacks or panic disorder. At the very beginning you may have panic attacks that occur for no reason, eventually resulting in a panic disorder. Later you begin to recognize that these panic attacks are occurring in specific situations and you begin to avoid those circumstances for fear of having continued panic attacks. These panic symptoms may be mild at the beginning resulting in uncomfortable feelings but not necessarily avoiding these specific circumstances. When experienced at a more moderate level the panic symptoms begin to result in avoidance of these panic inducing circumstances such as avoiding public transportation or shopping on your own. In these moderate anxiety circumstances, you may avoid some panic inducing situations but still continue on without serious restrictions on other aspects of your life. The restriction is usually only partial. When experiencing severe agoraphobic symptoms, you may experience restrictions which seem to affect every aspect of your life, resulting in being unable to leave home unaccompanied. It is not really known why some people develop agoraphobia from their panic attacks and why others do not, or why agoraphobia is more severe for some rather than others. Some clinicians and researchers believe that the development of agoraphobia may have some environmental and hereditary components. It has been observed to run in families and twin studies have found that identical twins have a higher risk for both to develop agoraphobia. When looking at environmental factors, there may be some childhood experiences that predispose a child to agoraphobia. Some of these experiences may include growing up with parents who (1) are overprotective and/or (2) are overly anxious and communicate that the world is a “dangerous place” and/or (3) overly critical and perfectionistic. 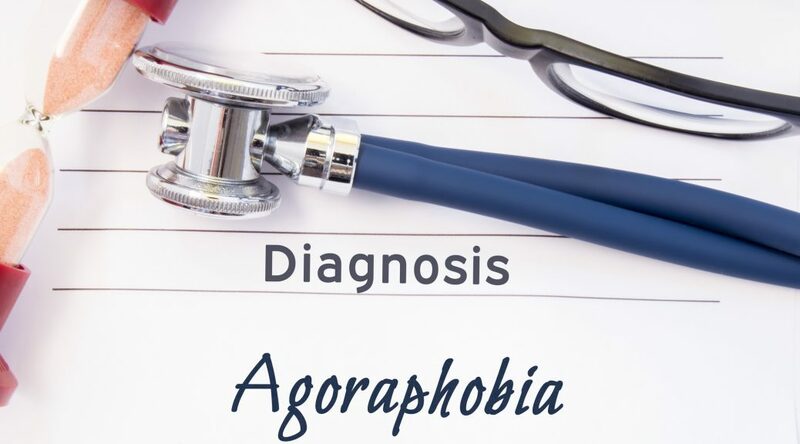 People experience agoraphobia symptoms from all walks of life and all socioeconomic levels, At the present time, approximately 80% of agoraphobics are women. It is unclear what environmental issues factor into the gender difference, although it has been noticed recently that the level of agoraphobic women relative to men with the disorder seems to be leveling off somewhat. That would probably indicate more of a environmental than a genetic influence. There are various treatments available to help alleviate the symptoms of agoraphobia. Since agoraphobia is basically a disorder developed in relation to panic disorder and panic attacks, the same treatments are utilized for both including psychosocial treatments and the management of panic attack symptoms utilizing anxiety medications and antidepressant medications. 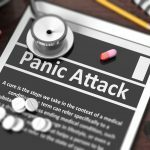 An overall analysis of the medication management of panic disorder and panic attacks as well as an overview of the psychosocial treatments of panic disorder follow on separate pages. Some of the main psychosocial treatments include relaxation training, panic control therapy and interoceptive desensitization. Once again, the same treatments that are utilized for panic disorder and panic attacks are also used for patients with agoraphobia. Also, additional assistance or treatment for agoraphobia symptoms may also include assertiveness training since agoraphobics frequently have difficulty standing up for themselves. Finally, as mentioned previously, some of the main treatments for agoraphobia include medication, graded exposure, cognitive therapy and group therapy. Some of the main treatments for agoraphobia as well as panic attacks and panic disorder include treatment with medication such as selective serotonin reuptake inhibitors (SSRI’s) such as, Zoloft and Paxil and tranquilizers such as Xanax, Ativan or Klonopin. The SSRI’s are more likely to be used in very severe cases where a person is homebound and otherwise very restricted in their activities of daily living. Low doses of tranquilizers such as Xanax may also be used to assist people who are going through the early stages of exposure treatment as well as being used by many doctors as a mainline treatment for anxiety and panic. When the treatment or intervention is referred to as “exposure” therapy it usually means that the person is exposed to the stimuli that seems to provoke the anxiety or panic reaction. Situations or circumstances that have been feared and/or avoided are exposed to the individual in incremental steps to gradually increase the amount of time and exposure without having a full-blown panic attack. A good example of graded exposure may be if a person has a severe fear of driving long distances or on the highway. They may initially drive short distances or at slower speeds and build up to greater distances or greater speeds. Sometimes a support person is used to accompany the agoraphobic. Finally, they may then eventually be able to drive alone. If a person is fearful of staying home alone, they may be at home by themselves for short periods of time building up to longer times alone. The goal of cognitive therapy is to help the individual recognize and eliminate exaggerated, fearful thinking which result in phobias and panic attacks in a more realistic way. You will then learn to identify, challenge and ultimately replace counterproductive thoughts with ones that are more helpful and realistic to the stimuli or environment. Agoraphobia symptoms can be effectively treated in a group setting with other individuals experiencing similar symptoms and disorders. Group therapy provides an opportunity for an individual to share their experiences with others and recognize that they are not alone and that there are many others who experience agoraphobic related panic attacks. Agoraphobia symptoms are successfully treated through the use of several psychosocial interventions and medications to alleviate the symptoms. Additional information is also available on this website related to panic disorder, psychosocial interventions and medication management. Do not allow yourself to continue to suffer agoraphobia symptoms when treatment is so readily available. Some information adapted by Paul Susic Ph.D. Licensed Psychologist from The Anxiety and Phobia Workbook by Edmund J. Bourne Ph.D. 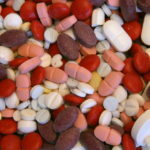 The treatment of panic disorder is usually approached very differently from the way it probably should be in that the first line of treatment is almost always to “throw a medication at it”. When given the fact that the medications usually used for panic disorder treatment have serious side effects, a more reasonable approach would probably be to consider possible psychological interventions prior to using medications that have serious side effects. These medications may be necessary in place of psychological interventions or in addition to, but they should not always be the first line of defense in the treatment of panic disorder. In fact, efficacy studies related to the treatment of panic disorder with cognitive behavioral therapy, have found that it performs as well as pharmacological interventions in the short-term and may possibly be more durable in the long-term. The core feature in the treatment of panic disorder from a psychological treatment perspective, is that panic disorder is frequently caused by and maintained by heightened fears associated with anxiety symptoms. The main psychological treatment modality in current practice by psychologists and other mental health practitioners is cognitive behavioral therapy (CBT) which seeks to reduce those fears. The belief which has also been confirmed by research is that it is this “fear of fear” that is the main culprit and the focus of intervention. 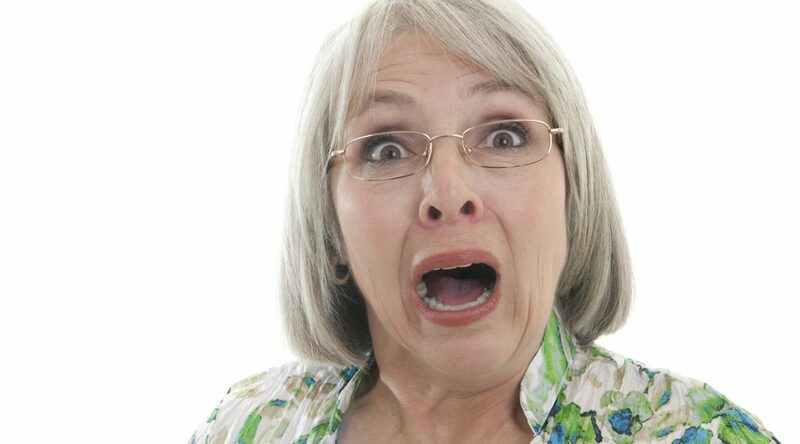 This fear can be reduced, resulting in the clinical improvement of panic disorder. Cognitive behavioral therapists utilize various cognitive techniques including psychoeducation about panic along with cognitive restructuring, as well as behavioral methods such as interoceptive exposure to assist in the reduction of the symptoms of panic disorder. Psychotherapists using the cognitive behavioral method, usually first begin by providing patients with information about panic disorder. 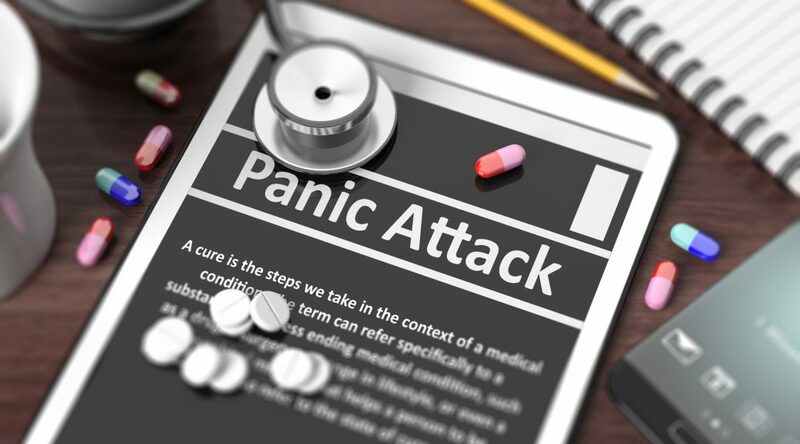 Information and education about panic and how it is maintained is seen as the most basic aspect of this program, allowing the patient and therapist to collaborate on future treatment and intervention. It has been found that there is an enormous amount of misinformation about panic symptoms as well as how they will affect the individual patient. Many patients present to emergency rooms mistaking intercoastal muscle tension in the chest as an indication that they are having a heart attack. Cardiac arrest is much more than pain in the chest. It most often involves a crushing pain in the chest usually accompanied by pain shooting downward through the arm. Also, many patients mistake hyperventilation-related dizzy feelings for fainting, without realizing that ultimately dizziness may be the result of blood pressure and the heart rate suddenly dropping. In actuality, an elevated heart rate during panic will actually protect against fainting in spite of dizziness. There are certain physiological reactions that protect us from various threats including what has been referred to as the “fight or flight” reaction to stress or danger. The “fight or flight” syndrome is actually believed to help protect us against danger but is not in itself threatening or dangerous. It is a heightened level of physiological arousal that allows us to respond to threatening or dangerous circumstances, but does not specifically pose a threat to our well-being. Some patients also fear that the physiological symptoms of panic disorder will lead them to more serious mental health concerns. These additional mental health worries also exacerbate the underlying mistaken beliefs that bodily sensations and a fearful response to dizziness and heart palpitations for example, will lead to a full-blown panic attack or result in some other type of mental illness. Cognitive behavioral therapy focuses on catastrophic beliefs and misconceptions about our bodily sensations and the prevention of testing these misconceptions and refuting these beliefs. In order to assist with alleviating these catastrophizing beliefs, the therapist may ask the patient what has kept them from experiencing the actual catastrophe that they had envisioned. In most circumstances, patients will indicate that they have taken various safety measures to short-circuit the catastrophe from actually occurring. For example, a patient may state that they are afraid that the panic disorder related dizziness will result in them becoming weak and falling down. The therapist may then ask what has kept them from falling down in the past? The patient will usually state that they were able to sit down prior to falling down. They were able to rely upon these safety measures to keep the catastrophe from actually occurring. So, in effect, specific catastrophic thinking can be addressed along with safety measures that maintain the related fears that seem to drive the panic process. Another important aspect of panic disorder treatment using the cognitive behavioral approach involves using the cognitive restructuring of catastrophic beliefs. An important part of cognitive restructuring of these beliefs is that behavioral experiments are also used along with psychoeducation to alleviate the panic symptoms. The behavioral experiments are used to provide direct, experimental evidence that catastrophic consequences are not the inevitable result of catastrophic thoughts and the experience of heightened physiological sensations. A behavioral experiment may involve something as simple as when an individual believes that they will faint when dizzy and immediately sits down to avoid falling down. The behavioral experiment might involve having the patient hyperventilate while sitting down and experiencing the related sensations of dizziness and lightheadedness. The patient’s catastrophic thinking might involve the thought that they will faint if they stand up. The therapist may then encourage the alternative prediction that only a slight sense of unsteadiness will actually occur. Having the patient experience the physical sensations without having them engage in the customary safety behavior is one of the most powerful ways to help an individual change the catastrophic thinking that maintains the panic disorder. The goal of the therapist is to have the patient experience behavioral experiments that allow them to refute the beliefs associated with the usual bodily symptoms. Cognitive restructuring is actually a combination of psychoeducation and the creation of behavioral experiments that allow the individual to refute the catastrophic beliefs. 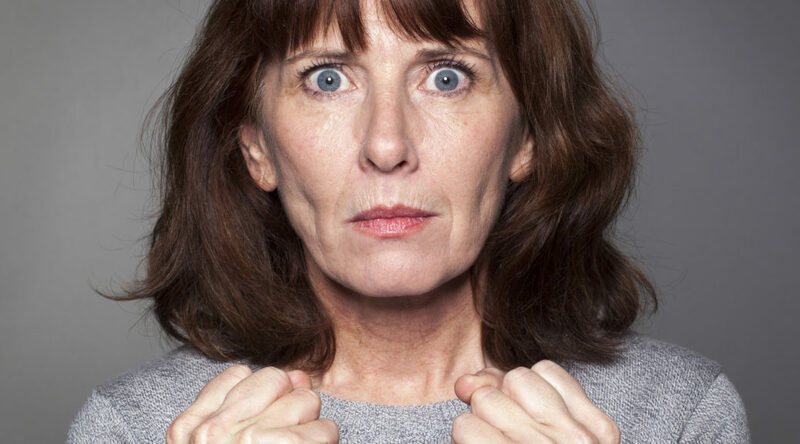 Panic disorder is experienced pretty much in the same way that individuals experience phobias. After an individual experiences a high level of anxiety in relation to a certain stimuli they may then attempt to avoid similar experiences. Prolonged exposure to stimuli that is feared causing an extinction of the fear is an important feature of the behavioral treatments associated with anxiety and panic disorders. In individuals with panic disorder, the principle of exposure requires people to expose themselves to the stimuli that they fear and feel the related bodily sensations until they no longer hold the same capacity to provoke fear and discomfort. Some additional panic disorder treatments include applied muscle relaxation and breathing retraining, which is oriented toward counteracting hyperventilation. However, some therapists now wonder if these techniques are such a good idea. These methods were originally designed to help reduce the intensity of the bodily sensations which by implication were bad, which is contrary to the psychoeducational component in which these sensations are essentially taught to be considered harmless. However, teaching the concept that anxiety management techniques are a means of helping an individual to feel some sense of control over their bodies may indeed have some value. An intense fear of certain circumstances and objects can cause patients to avoid those experiences. 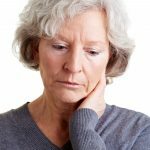 This residual agoraphobia can continue even after panic has been successfully treated using cognitive behavioral techniques. Psychologists and mental health clinicians will frequently develop in vivo (real-life) exposure situations where individuals will purposefully enter into feared experiences and circumstances without avoiding the stimuli until the intense discomfort is reduced or goes away. There have been many studies over time that have identified the efficacy of psychological approaches to the management of panic disorder. Cognitive behavioral therapy delivered on an individual basis or in a group setting has been found to significantly reduce symptoms of panic. Some studies have found as many as 74 4% of cognitive behavioral therapy treated patients are panic free posttreatment. Similar outcomes have also occurred in community mental health settings. Also, cognitive behavioral therapy has significantly outperformed other interventions including the use of some medications such as imipramine, applied relaxation and emotion focused therapy. Finally, panic disorder treatment using psychological methods including cognitive behavioral therapy with or without medication have frequently been found to be the best long-term solution to the treatment of panic disorder. 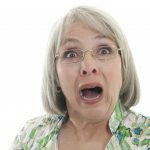 Panic Disorder 101: What do I really need to know? 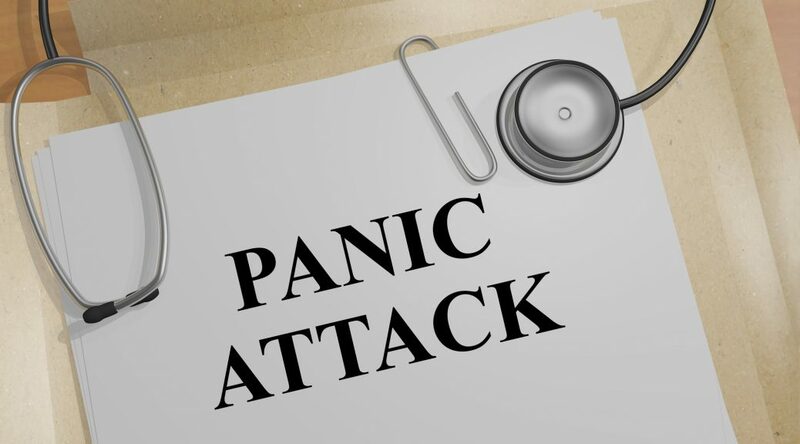 Some of the main characteristics of panic disorder are short-term, sudden, intense feelings of fear, terror or sense of losing control and begin without warning during activities that are believed to be nonthreatening. Many individuals experiencing panic disorder go to the emergency room because of the intensity of their physical symptoms which may include a rapid heartbeat, breathing difficulty and sometimes a choking sensation giving the appearance of a possible heart attack. Many patients believe that they are having a heart attack and need to consult a doctor immediately. •	a fear of dying or losing your mind. Many individuals with panic disorder also experience other symptoms of anxiety as well as depression. While some patients will have some relief from antidepressant medications from their symptoms of depression and panic attacks, others may need totally different medications for a panic disorder than would usually be given for depression and anxiety. Estimates of the prevalence of panic disorder are usually between 1% and 2% among both men and women. The first attacks frequently begin in the late teens or early 20’s and will frequently go for a significant period of time misdiagnosed, undiagnosed and often untreated. Some studies have found that as few as one in four people with a potential diagnosis of panic attacks or panic disorder receive appropriate care. Agoraphobia can be one of the most common complications associated with panic disorder. The symptoms of agoraphobia include fear of being in public places alone, and future attempts to avoid situations that are triggered by panic attacks in the past. If untreated, Agoraphobia and panic attacks can tremendously restrict an individual’s activities and lifestyle, since they will tend to avoid situations that may result in another panic attack. Another negative byproduct of panic disorder is that it may frequently increase the risk for depression, alcohol and drug dependency and even possibly suicide. Treatment for panic disorder frequently involves a combination of psychotherapy and psychiatric medications. Successful treatment may necessitate being referred to a therapist that specializes in treatment of panic disorder or anxiety disorders. Many studies have found support for the effectiveness of cognitive and behavioral therapy that involves incremental exposure to situations that provoke symptoms of anxiety or panic. Tricyclic antidepressants and MAO inhibitors seem to currently be the mainstream psychopharmacological intervention for panic disorder. These medications have been identified to be approximately 80% to 90% effective in blocking panic attacks. However, they’ve also been found to frequently take between 6 to 12 weeks to be effective. Alprazolam (Xanax), a benzodiazepine, has been found to be effective within several days and cause fewer side effects than the antidepressants. Unfortunately, Xanax can be very addictive as with all the other benzodiazepines. Also unfortunately, a relapse of panic symptoms can occur in anywhere from 30% to 60% of patients within 6 to 12 months after medications have been discontinued. Additionally, the SSRI’s such as Zoloft and Paxil have been approved by the FDA for the treatment of symptoms of panic disorder. Beta blockers can also reduce the physical symptoms of panic attacks but do not eliminate the fear or the actual panic itself.